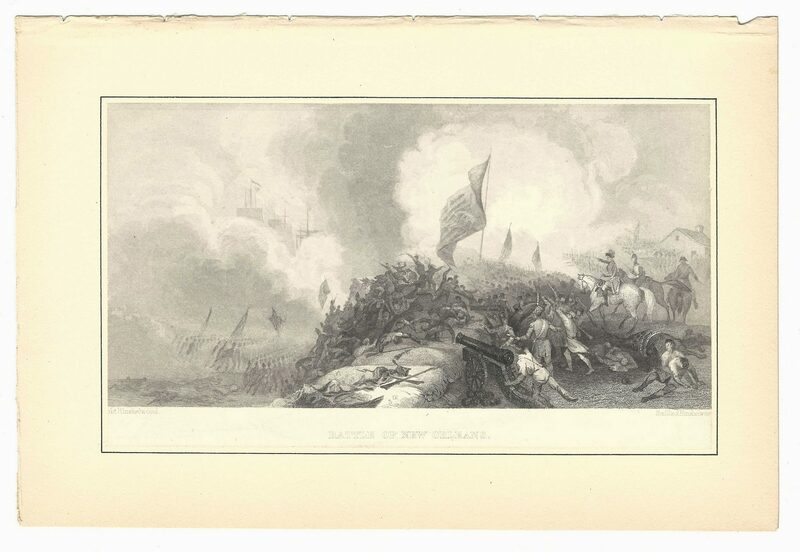 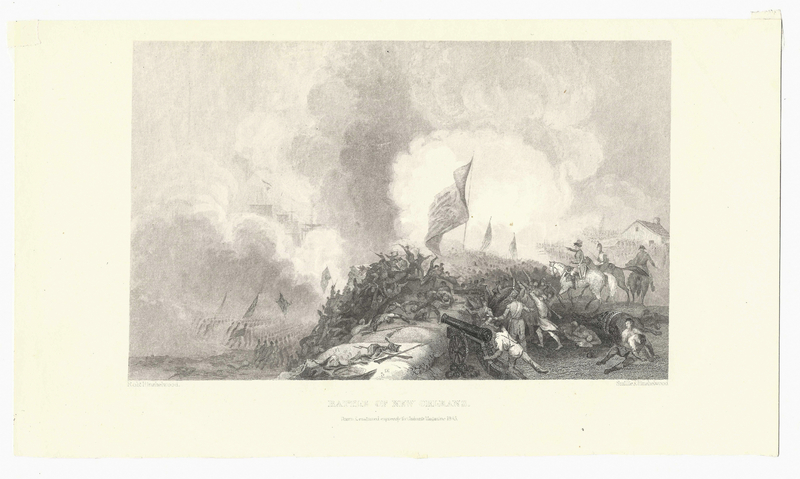 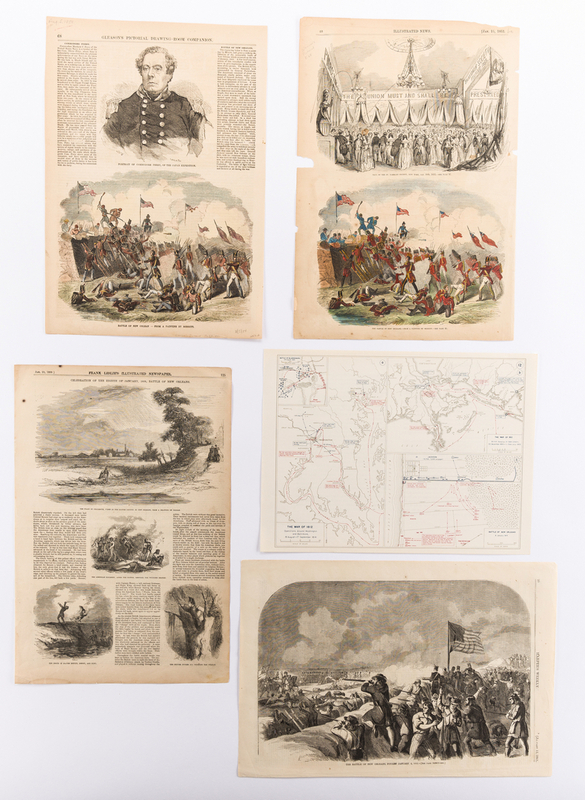 Twenty (20) items, mostly 19th century steel and wood engravings of the Battle of New Orleans. 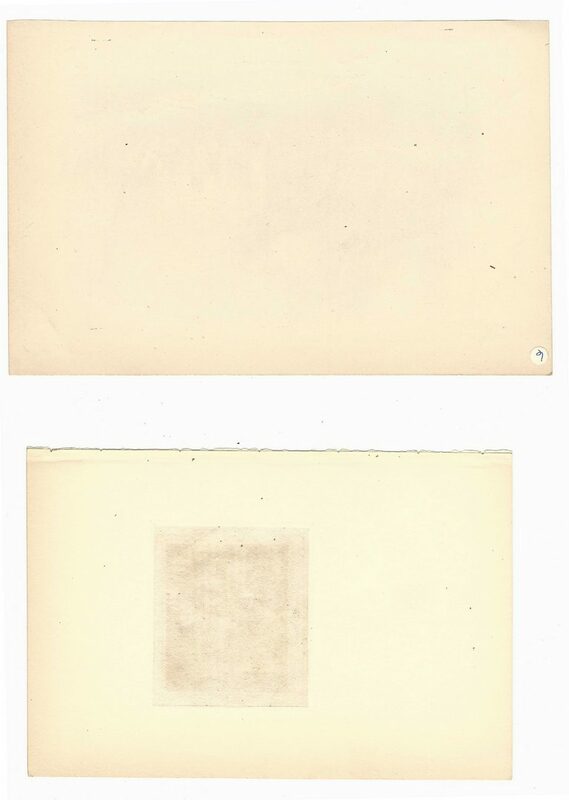 Many appear to be taken from books or magazines. 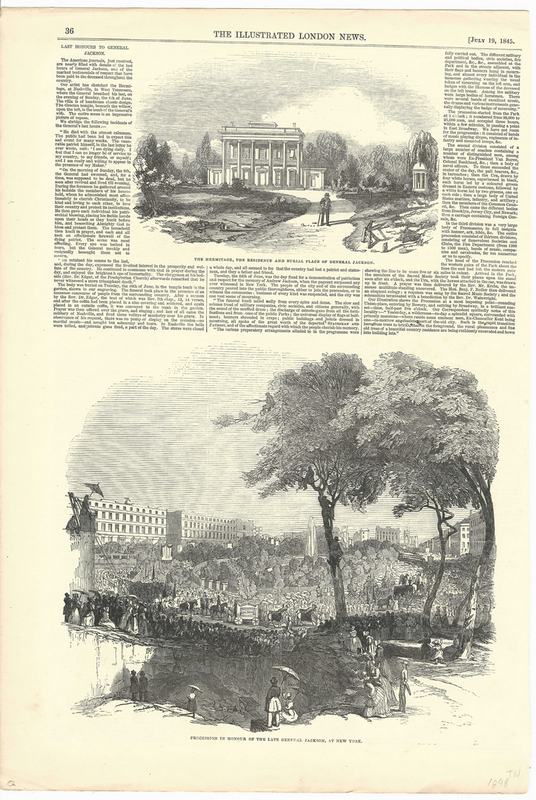 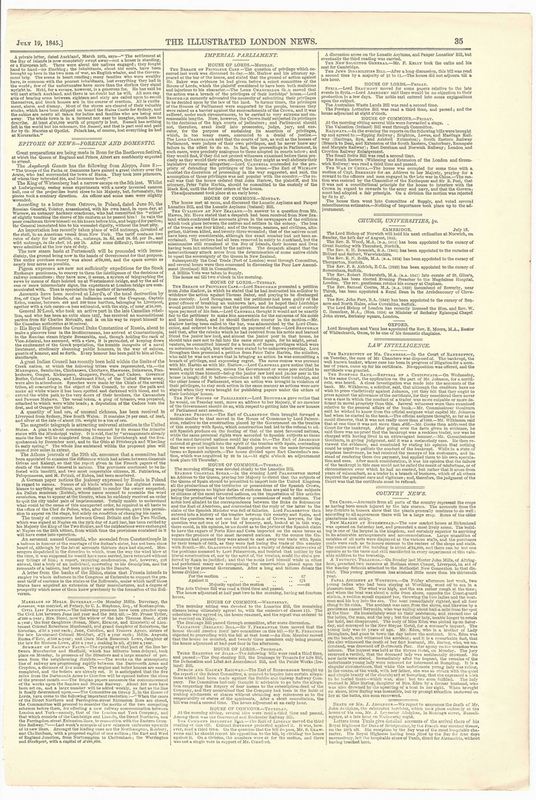 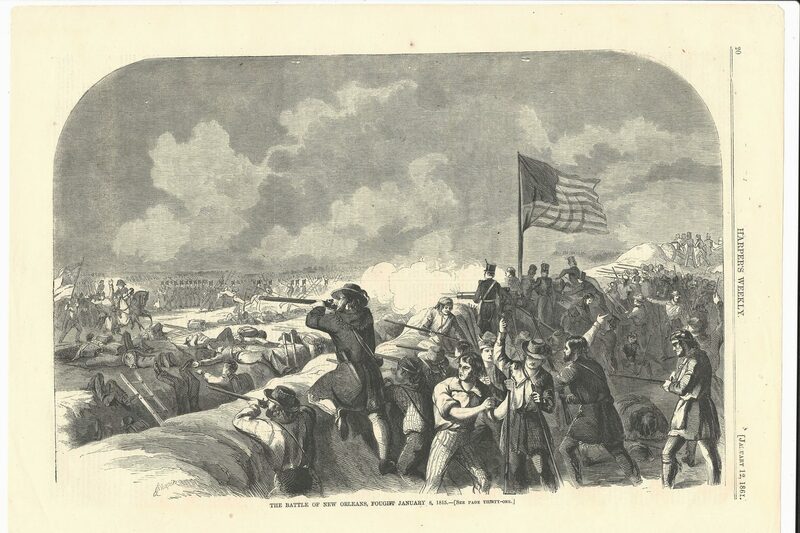 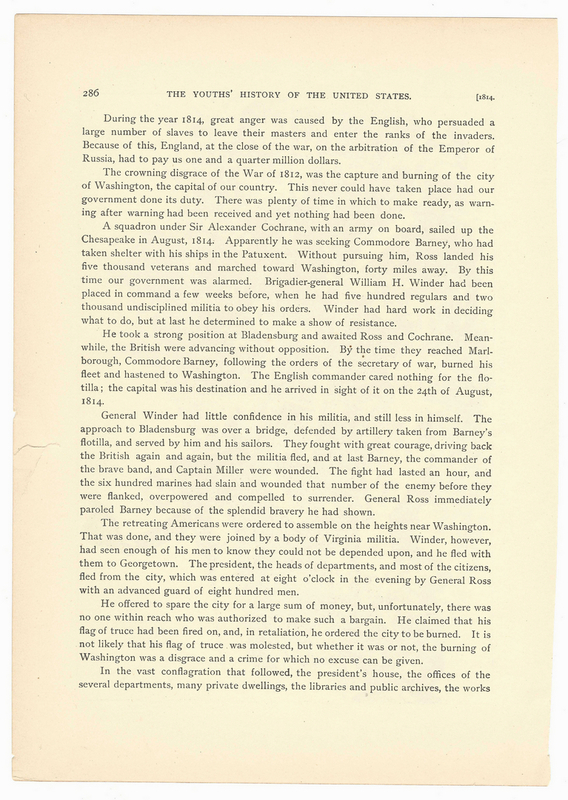 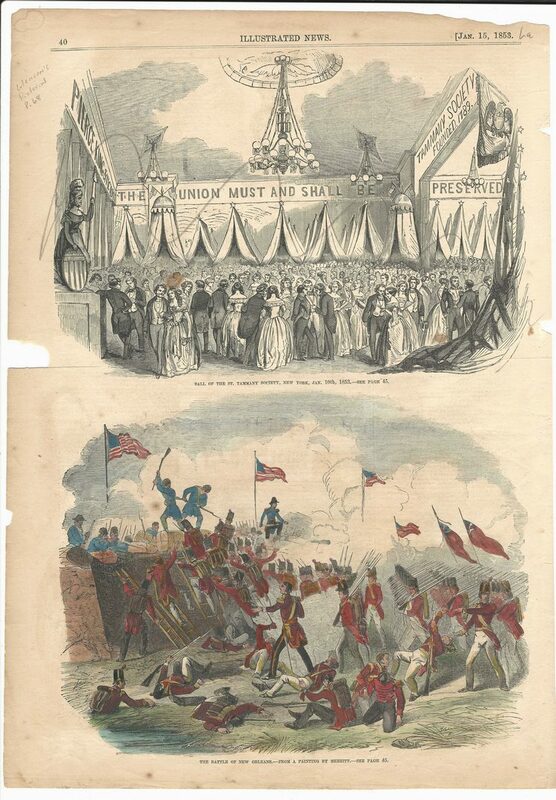 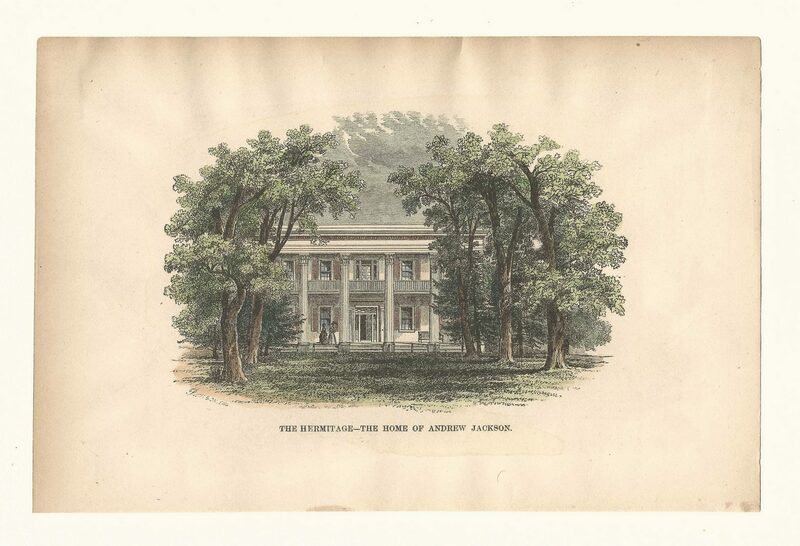 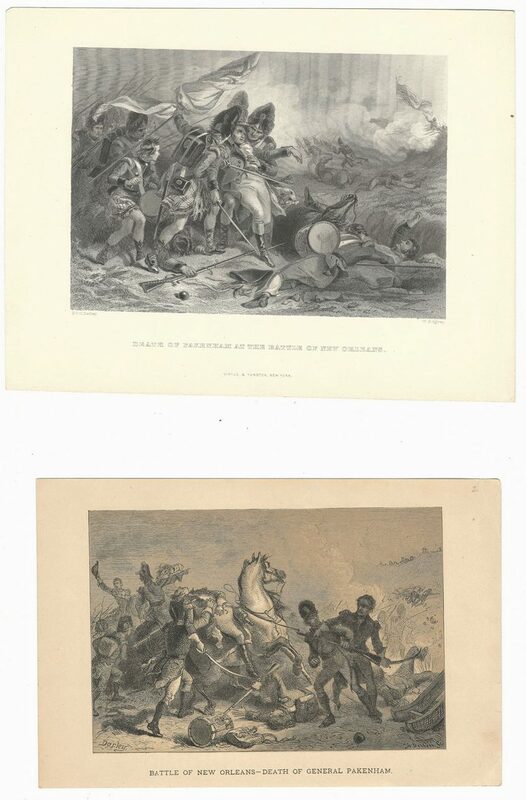 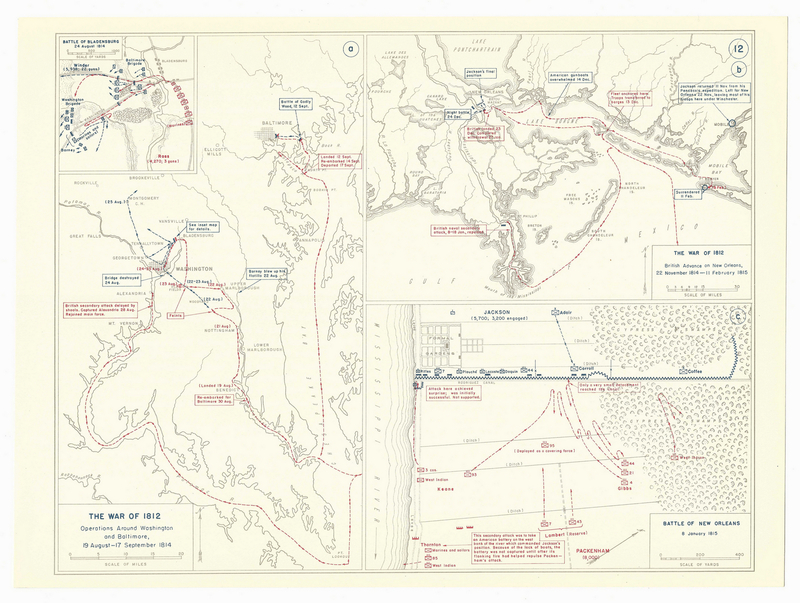 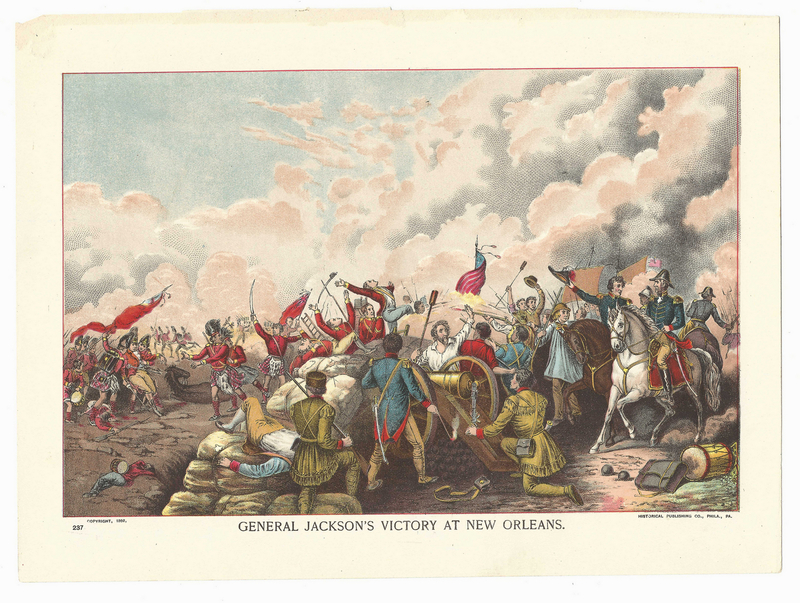 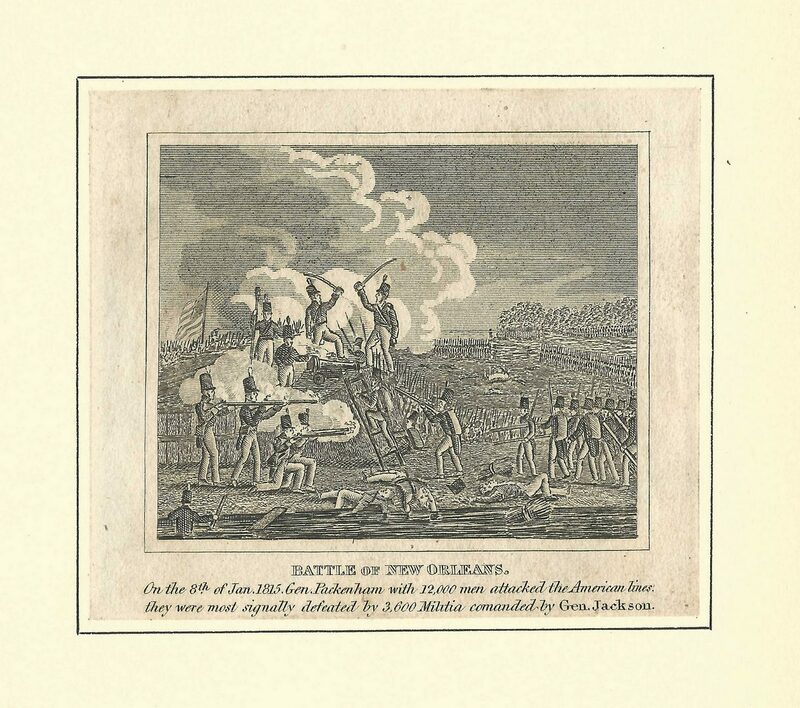 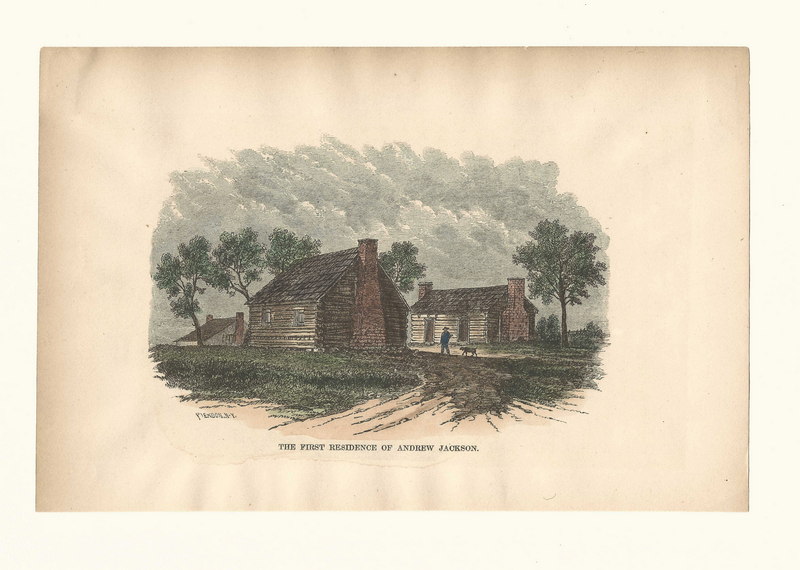 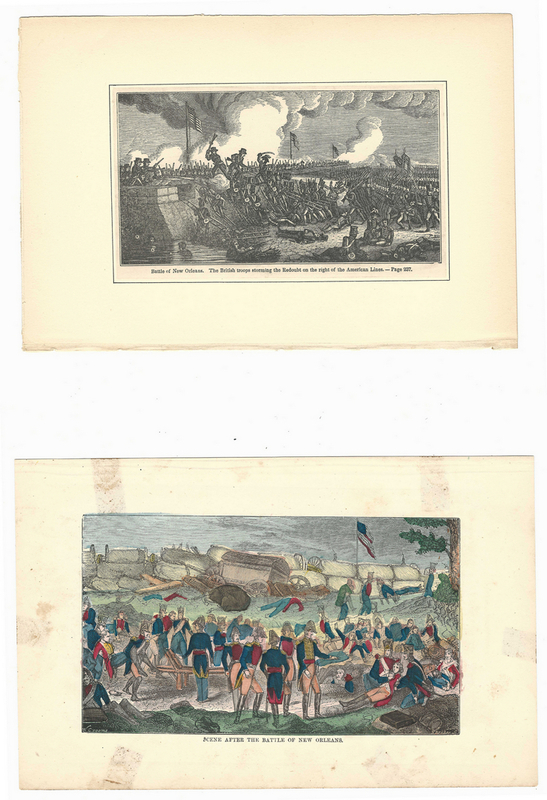 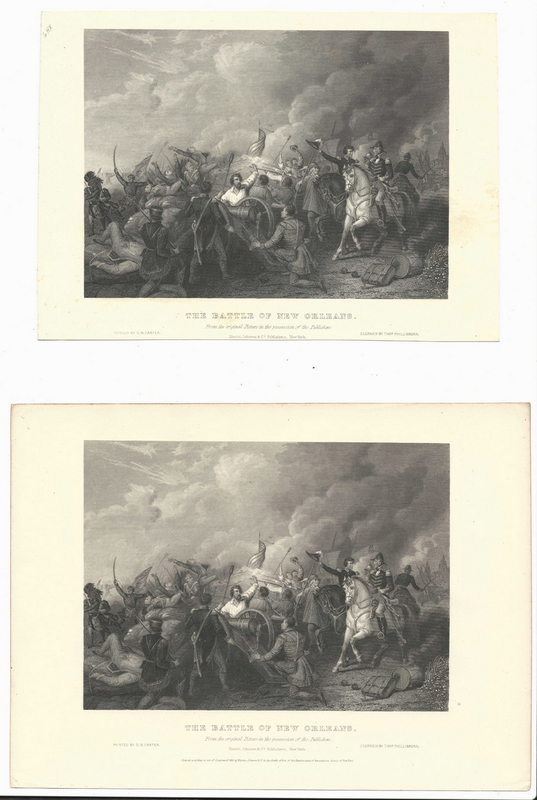 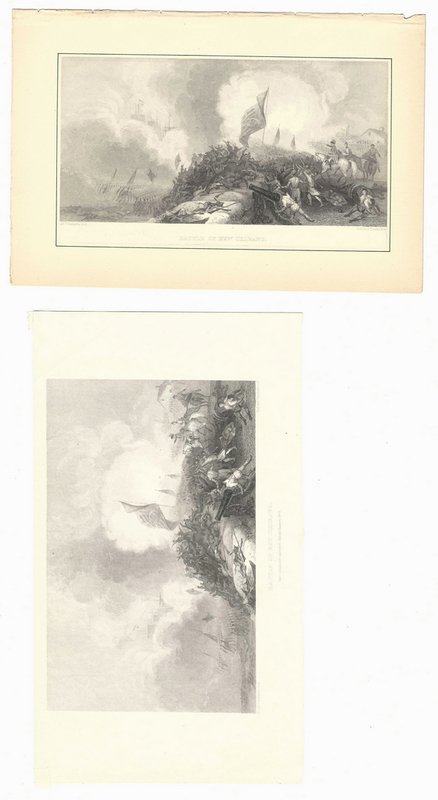 Subjects include 2 engravings of the Battle of New Orleans after D.M. 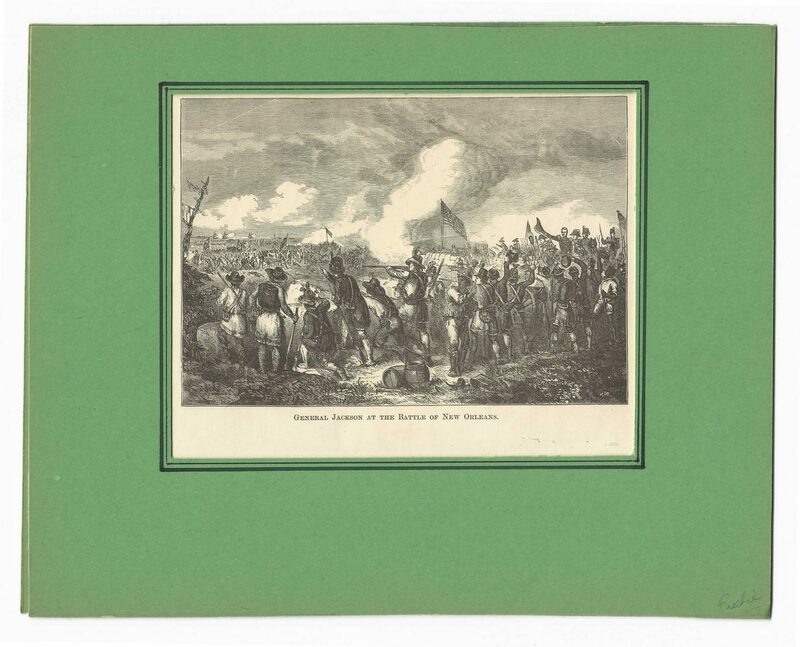 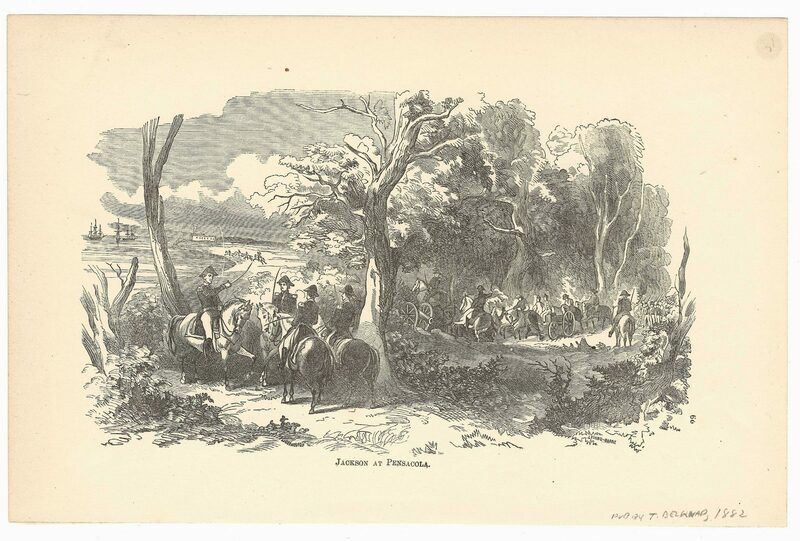 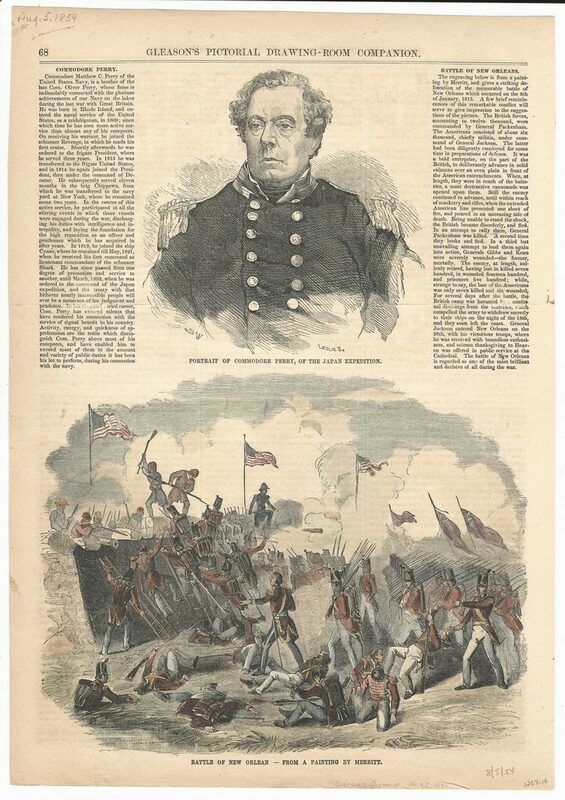 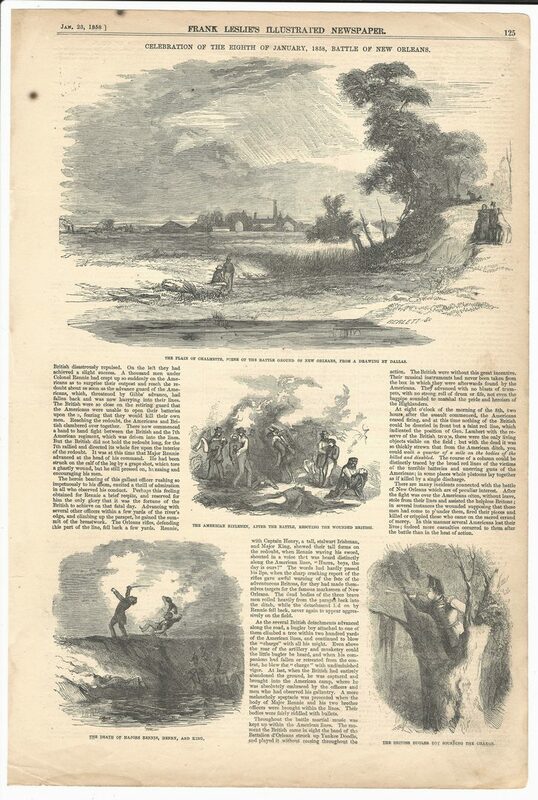 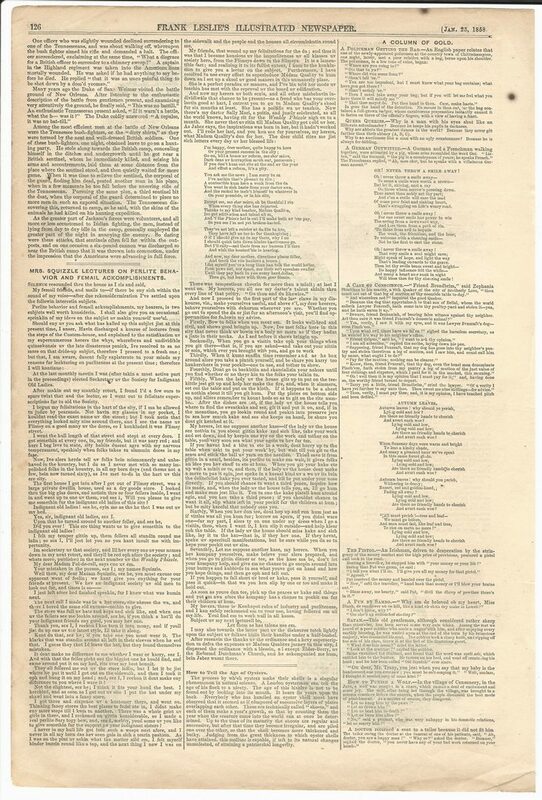 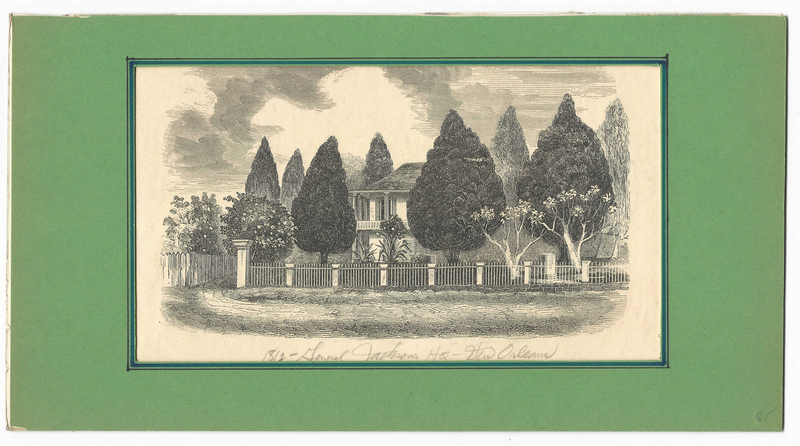 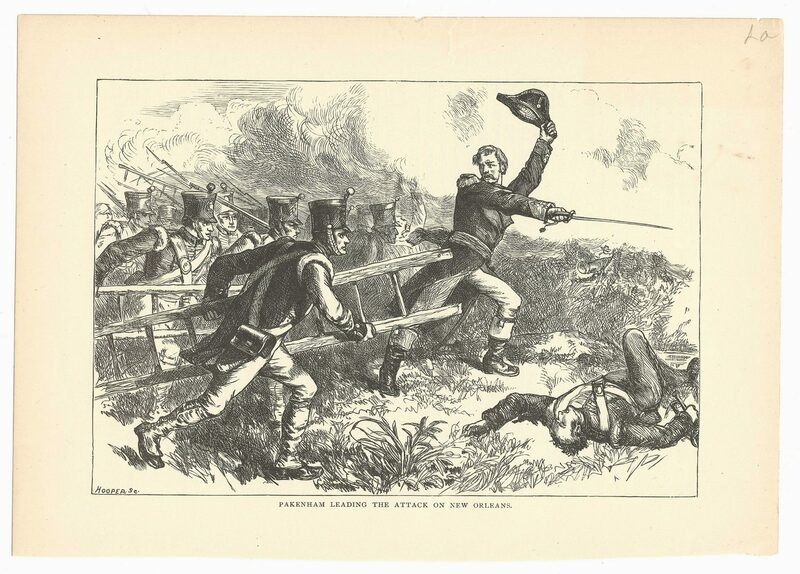 Carter, published by Martin and Johnson, circa 1856 (one trimmed, 6 3/4" x 9 1/2", with foxing; the other 7 7/8" x 10 3/4" in good condition); The Death of General Pakenham at the Battle of New Orleans, published by Virtue and Yorsten, NY after Darley by Ridgway, undated (7 5/8" x 10 1/8"); Battle of New Orleans – Death of General Pakenham, signed in plate Darley, Bobbett sc (6 1/4" x 9 1/8"); 2 Battle of New Orleans engravings after Hinshelwood for Graham's Magazine 1845 (5 1/2" x 9 3/4" and 5 3/4" x 8 3/8"); General Jackson's Victory at New Orleans, colored lithograph, 1892, Historical Publishing Co., (7 3/4" x 10"); The British Troops Storming The Redoubt on the Right of the American Lines (8 1/2" x 5 3/4"); Scene after the Battle of New Orleans (9" x 5 5/8", tape residue); an untitled 3" x 3 1/2" Battle of New Orleans engraving with caption of Gen. Packenham's attack; General Jackson at the Battle of New Orleans (10 1/2" x 8 1/2", matted); view of house with pencil inscription: 1812-General Jackson's HQ – New Orleans / Graham 1849 (12" x 6 1/4", matted); Jackson at Pensacola (9 1/2" x 6 1/4"); Packenham Leading the Attack on New Orleans (10 1/2" x 7 1/3"); and Battle of New Orleans related illustrated articles from Frank Leslie's Illustrated newspaper Jan. 15 1853, Gleason's Pictorial Aug. 5 1854, and Harper's Weekly January 12, 1861. 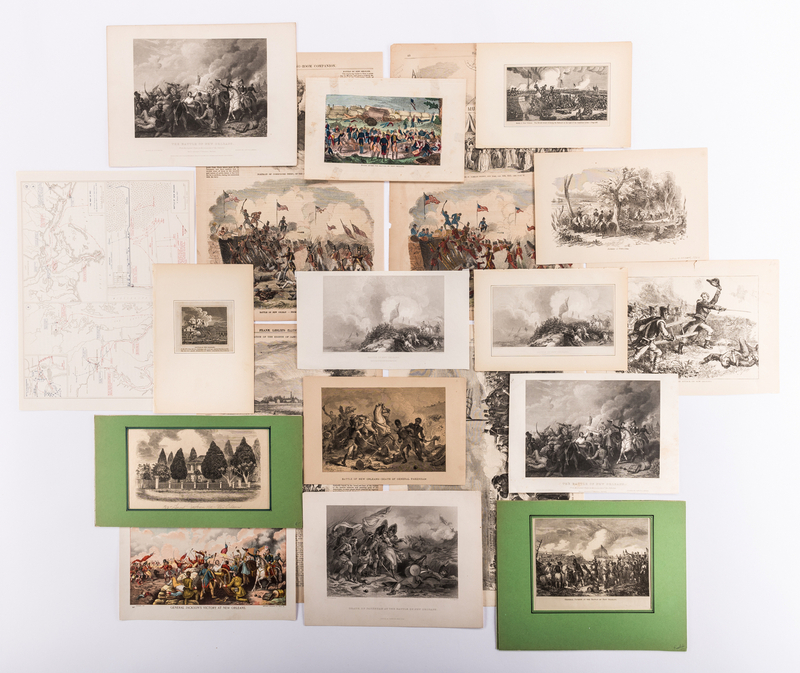 Also included is a War of 1812 map from a contemporary book, and a small newspaper clipping regarding Andrew Jackson's sword and saber, trophies of the Battle of New Orleans, being acquired by Paris merchants and put up for sale (undated, no source given). 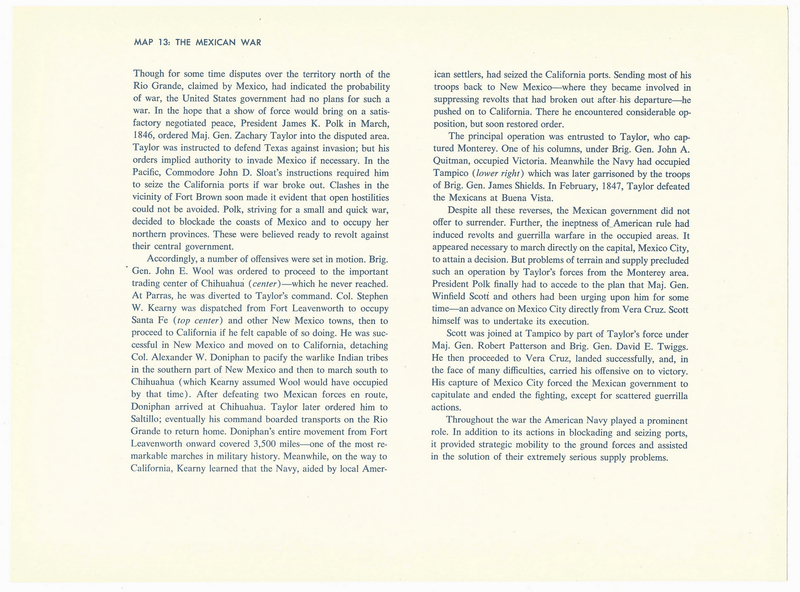 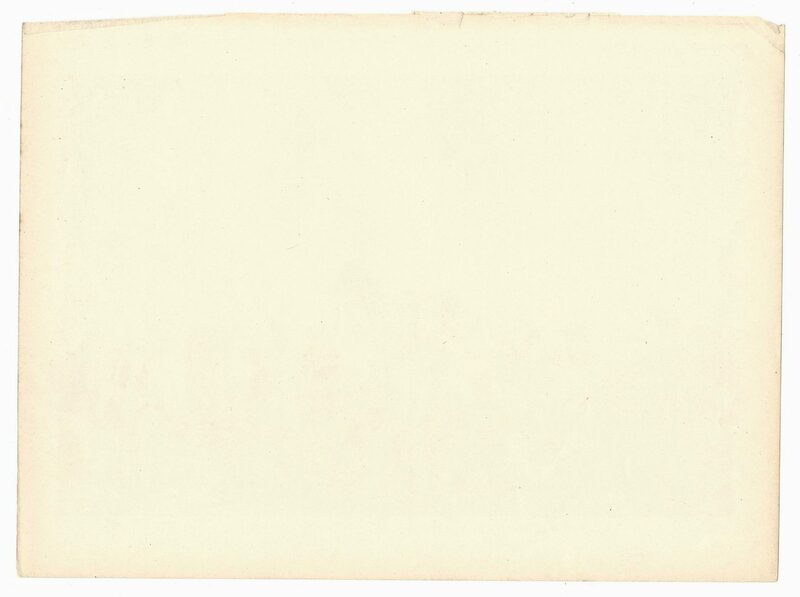 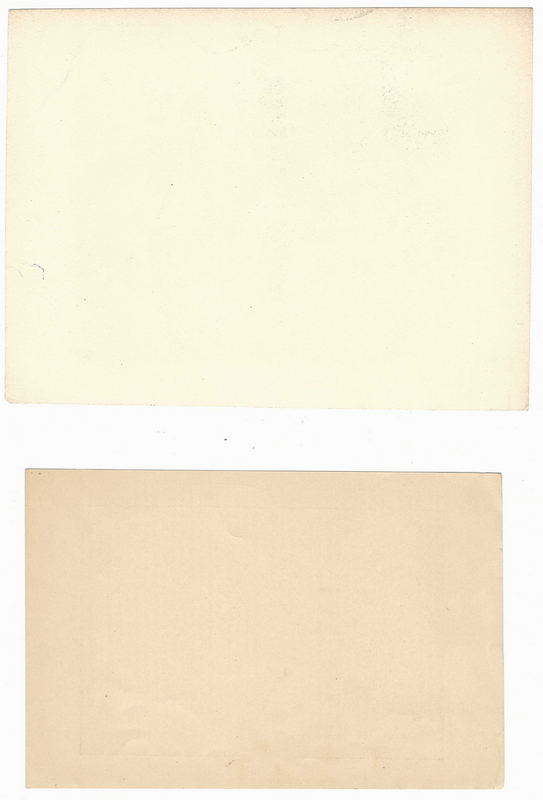 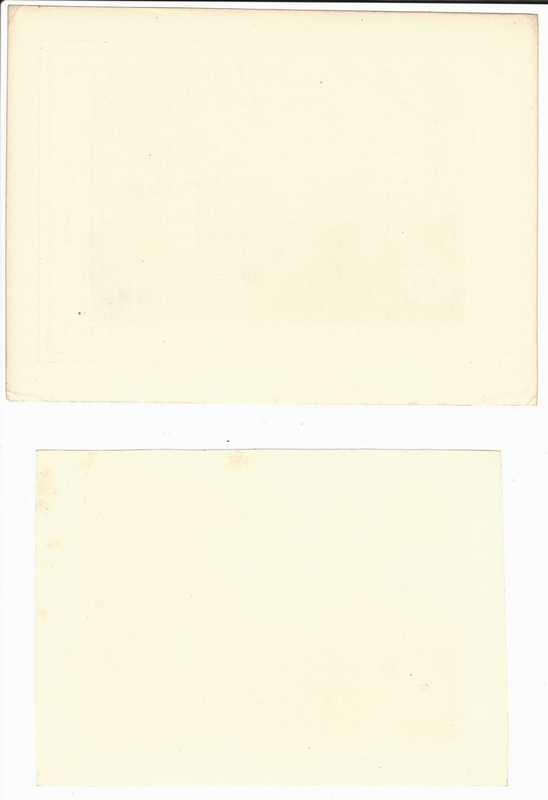 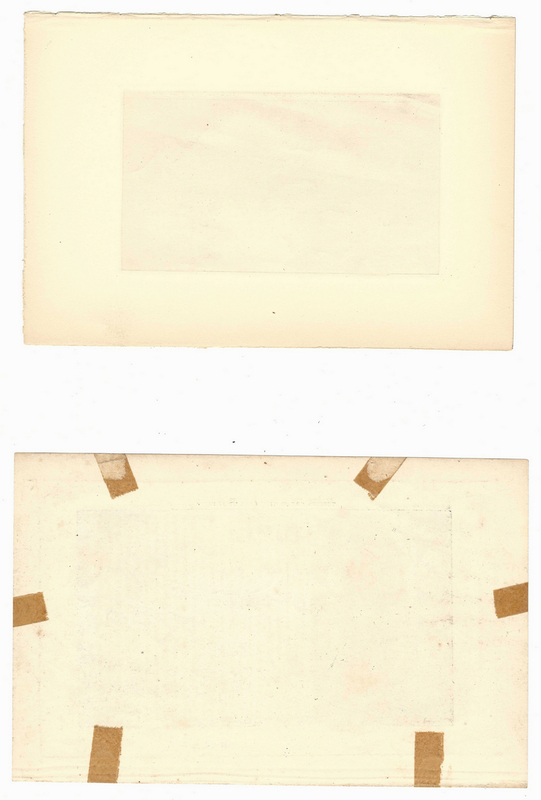 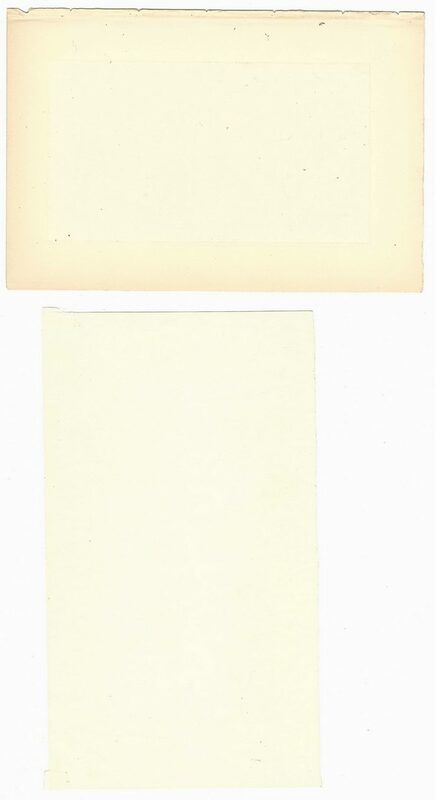 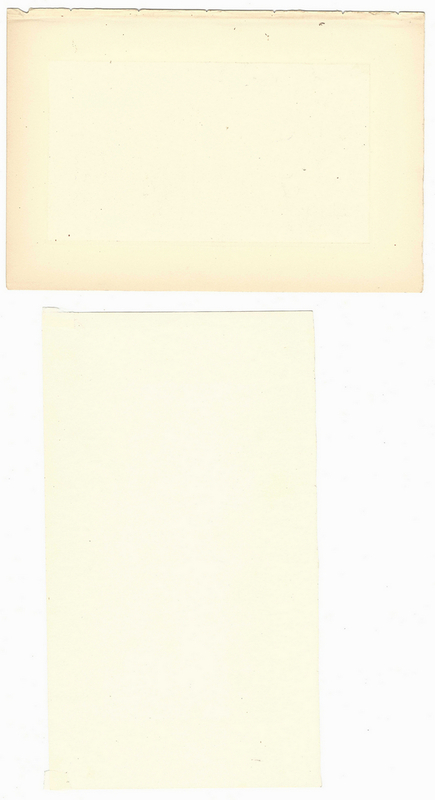 CONDITION: All with light toning and some with edge irregularities from being removed from books, other issues as noted in description.